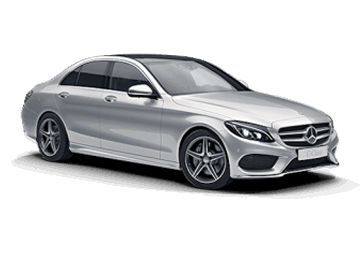 All you need to know about charging your Mercedes-Benz C 350 e. Also view other specifications about your Electric Vehicle. We provide the perfect charging solutions for your home. If you have off-street parking, charging at home is simple, quick and the cheapest way to charge your car. Most EV drivers use their Homecharge for around 80% of all charging. With over 30,000 installations completed to date, you can also have the UK’s most popular Homecharge unit supplied and fully installed. What is the OLEV grant? Chargevision is our unique system which gives you the opportunity to view your charging data. This can be broken down by charging session, and allows you to view the amount of energy and duration of your charges. You can view this data online, or download it to a simple file. Upgrade to a premium unit for 3 years’ Chargevision access. Have you got a charging cable? You’ve got your electric vehicle, now don’t forget about your essential charging cable for your Mercedes-Benz C 350 e.
We provide the perfect charging solutions for all workplace needs. See if you are eligible for a workplace grant funding available. By 2022 we expect there to be over 1 million EV drivers in the UK. Workplaces can help employees make the switch into electric vehicles by installing charge points. With workplace charging grants available, there is no better time for your employer to be installing workplace charge points for staff car parks as well as visitor charging. BP Chargemaster can help your employer every step of the way. From initial consultation about power requirements, expected usage and costs, to helping apply for workplace grants, and installing the units on site. All our communicating workplace and commercial units automatically connect to the ChargeVision data management system, enabling users and site owners to see live analytics and historical reports on usage. Reports can be downloaded for accounting purposes and management information systems. Polar – The UK’s largest EV charging network. We run Polar the UK’s biggest public charging network. It links over 6,500 public charge points, giving EV drivers a convenient and reliable nationwide charging system. We’re also the largest rapid charging network in the UK, with over 400 rapid charge points nationwide. The Polar network is growing all the time, making the future of electric motoring possible for more and more drivers. With exclusive partnerships with hotels, restaurants, car parks and local authorities, we’re able to rapidly increase our network and make electric vehicle driving as easy as possible. Polar Plus is our unique subscription service that offers members better value and special benefits. With the first 3 months’ membership free*, you pay just £7.85 per month thereafter. Members enjoy unlimited access to over 6,500 charge points, most of which are then free to use. For the others, they just pay for the electricity consumed (from only 10.8p per kWh, which is cheaper than the average cost at home). There’s no long term contract or nasty notice period to worry about. If you decide for any reason to cancel, you can do so. Immediately. It’s as simple and painless as that. Access to over 6,500 charge points nationwide. Standard prices shown are for non-communicating, non-key operated units and already include the £500 OLEV Electric Vehicle Homecharge Scheme grant. The £95 upgrade to a communicating / key operated unit includes data connection for 3 years from date of installation. All prices only apply to grant eligible customers requiring standard installation (cable run under 15m fixed flush to the wall; no civil or electrical remedial works required). The OLEV Grant is subject to terms & conditions and eligibility criteria and may be revised or withdrawn at any time without prior notice. Visit OLEV website for further details. BP Chargemaster Homecharge application and installation terms & conditions and restrictions apply. Full details about the Polar Network can be found on www.polar-network.com. The first three months subscription costs are free but customers must pay any electricity costs incurred within this period. Please note, all images shown are for illustration purposes only and may not fully reflect the latest products in all cases. BP Chargemaster is not responsible for any of the vehicle information provided and this should only be used as a guide. For accurate vehicle information, please contact your local retailer. Not sure which Homecharge unit to choose or how to apply? Or just wanting some advice on the best way to charge at home? Whatever your query, simply fill in your details below and one of our experienced Homecharge advisers will try to contact you within the next 30 minutes. THANK YOU. WE'LL BE IN TOUCH VERY SOON. Our callback service is available Mon to Fri 8.30am-7pm; Saturday 9am-12pm. Outside of these hours we'll contact you on the next working day, or please call us on 01582 399 412.